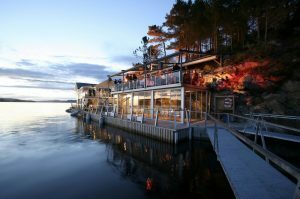 Geirangerfjord Highlights is a relaxing Fjord cruise package starting in Bergen and finishing in Oslo, with a full day to explore Bergen, Fjord cruise on the UNESCO Geirangerfjord & the amazing Rauma rail line. 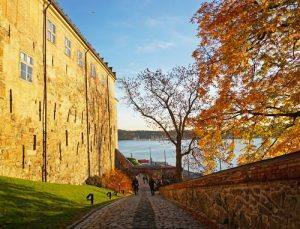 Overnight stays in Bergen, Alesund & Oslo. 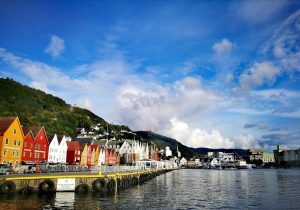 Individual arrival and check in at a centrally located hotel in the picturesque coastal town of Bergen, beautifully located by the Bergen fjord, with mountains and hillsides with tiny wooden houses and narrow streets. Spend the day at leisure exploring the sights of Bergen. 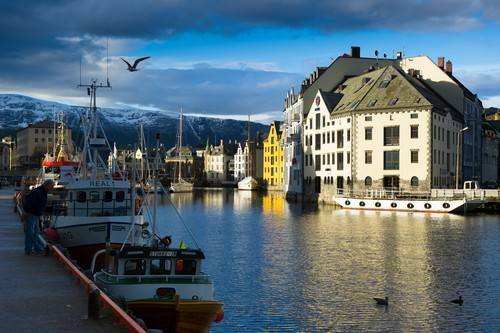 Visit the UNESCO Bryggen wharf, the fish market, the aquarium, take the Funicular to the top of mount Floyen, offering a marvelous view of the city below and beautiful hiking trails. Flight from Bergen to Alesund. Check in at a centrally located hotel. Enjoy a full day cruise on the beautiful Geirangerfjord. 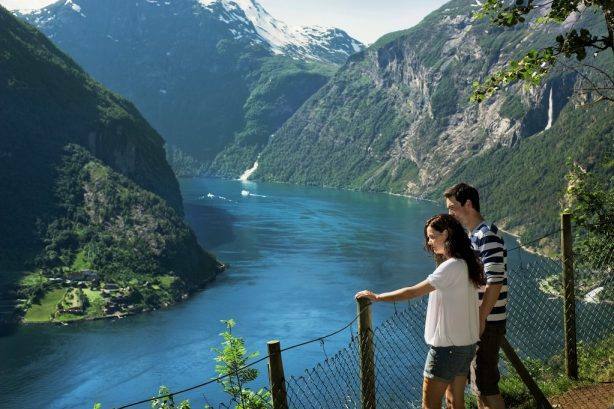 Take a closer look at the famous waterfalls “The Seven Sisters”, “The Bridal Veil” and “The Suitor”, the majestic fjord cliffs and abandoned mountain farms. 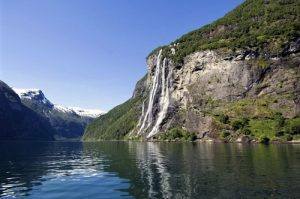 Perhaps you will be lucky enough to see porpoises playing in the fjord. Disembark for a stop in the fjord village of Geiranger before returning to Alesund. 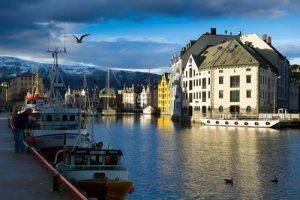 Scenic coach trip: start by coach from Alesund, taking you through scenic local fjord areas to the beautifully located fjord village of Andalsnes in the Isfjord, where you board the train for Dombas & Oslo. 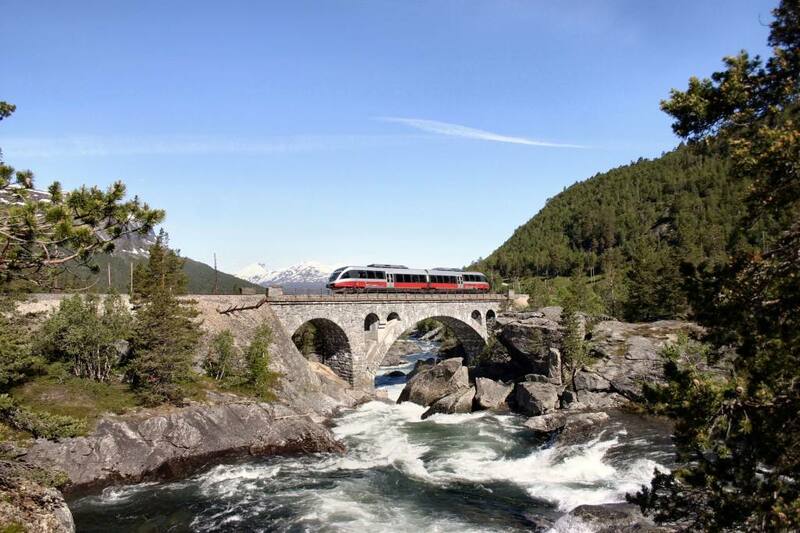 The Rauma line offers an unforgettable journey through the amazing Rauma valley, with the Troll wall mountain cliff, the Rauma river & spectacular bridges. Change to the main Dovre line at Dombas mountain station, taking you through the scenic Gudbrandsdal valley to Oslo. 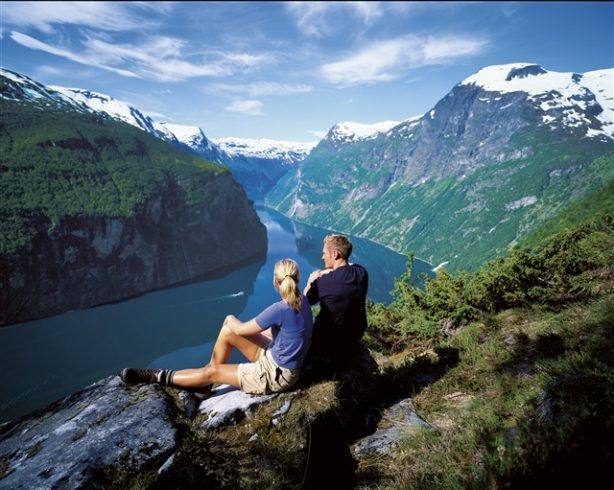 The beautiful Geirangerfjord is one of Norway’s most visited tourist sites. 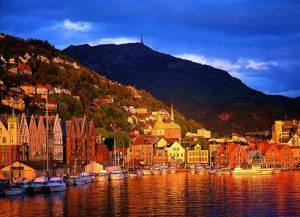 In 2005 it was listed as a UNESCO World Heritage Site, jointly with the Naeroyfjord (the narrow fjord). 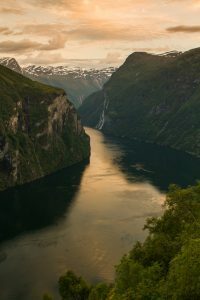 This spectacular fjord is a 15 kilometre branch off the Synnulvsfjord, which is a branch of the main Storfjord (Great Fjord), cutting in from the Atlantic coast just south of the coastal town of Alesund. 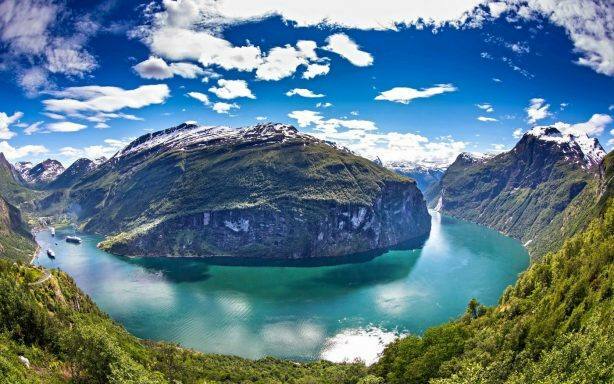 The tiny fjord village of Geiranger is located at the inner end of the fjord. 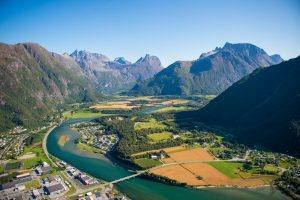 A most spectacular rail trip passing along the scenic Rauma river, across amazing bridges, through a horseshoe tunnel and along the Troll wall; a part of the mountain massif “Troll Peaks” in the Romsdal valley. The Troll Wall is the tallest vertical rock face in Europe, about 1100 meters from its base to the summit of its highest point. 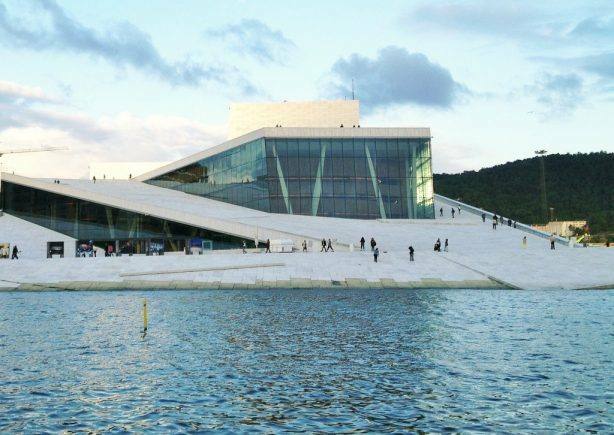 At its steepest, the summit ridge overhangs the base of the wall by nearly 50 meters.